LSB Ratchet Lever Hoists | Latta Equipment Company, Inc. 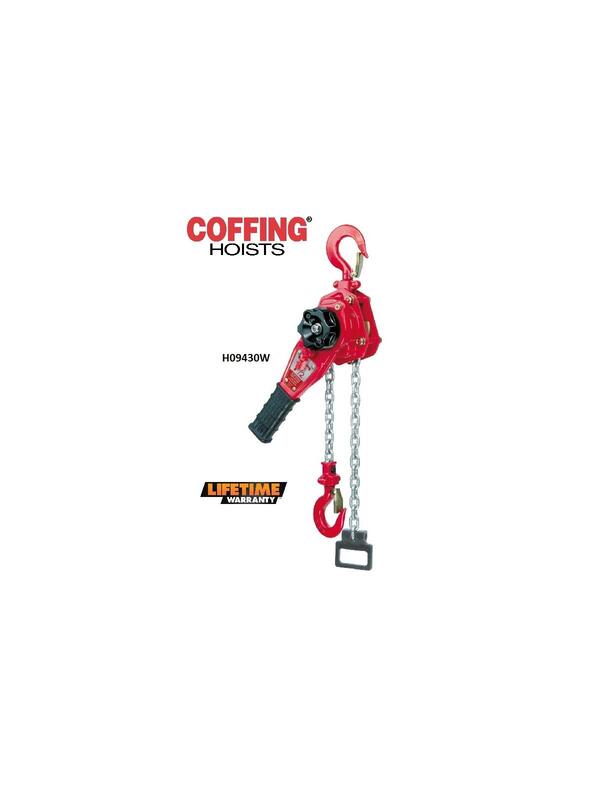 The Coffing LSB-B is a durable lever hoist suitable for numerous in-house and field applications. These stamped steel hoists are lightweight and durable and feature through hardened load chain for long life. FOB Shipping Point. • State-of-the-art, freewheeling mechanism allows for quick and easy one handed take up and positioning of slack chain. • Rugged and lightweight design. Unit and handle made from high-strength, ductile aluminum alloy. 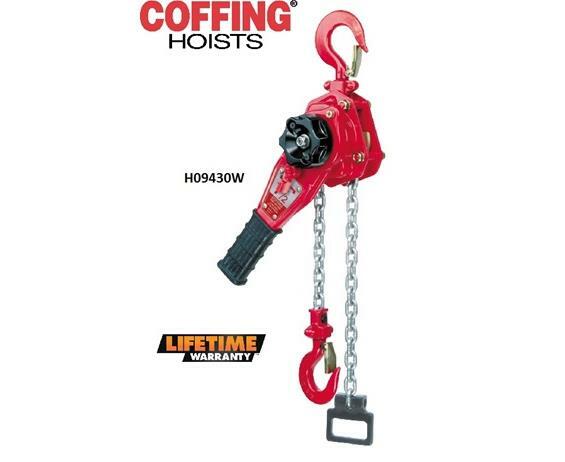 • 360° Rotating handle provides versatile rigging options when used in confined spaces. • The disc brake stays clean and dry, eliminating drifting and backlash for safe and secure load holding. • Hardened steel load chain provides high strength and resists wear. • Alloy steel gearing is heat treated for long life and is lifetime lubricated. Additional capacities and lifts available.